Quick, Which Navy Bob Is For Real? 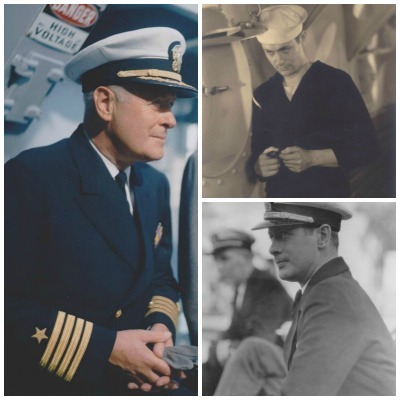 Hint: Captain Henry Montgomery, Jr, U.S.N.R. Do hope you all have wonderful plans for the holiday weekend, and that they all come true. A great time to hug a veteran and say thanks for their service. May 20 - Jimmy Stewart, well, just because! It's May 5, 1958. The soon-to-be 54-year-old Mr. Montgomery is vacationing in Venice. 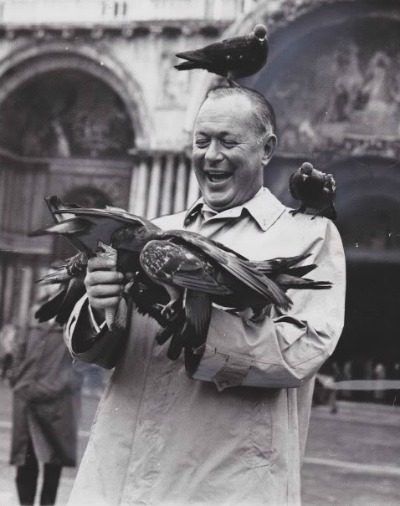 A photographer captures Bob as he's feeding birds in St. Mark's Square. Looks like Bob needs that overcoat for more than warmth! The bird perching on Bob's head ... too much. Bob is obviously enjoying himself ... love the squinting eyes. 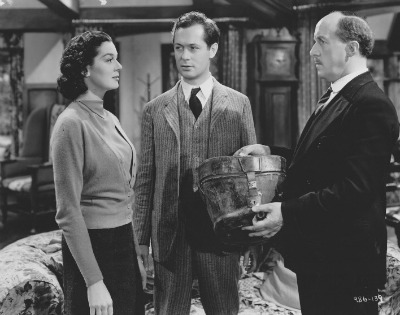 It has been a year since the last season of Robert Montgomery Presents. Bob has begun the lengthy process of developing his movie project, The Gallant Hours, his last association with the movie industry. He continues to be President Eisenhower's media advisor. In fact, he will have lunch with Ike in his suite at the Waldorf Astoria in New York City on May 20th. Classy way to celebrate one's birthday. And Bob and Buffy continue to travel extensively, primarily in Europe. From skiing in Switzerland to playing baccarat in Monte Carlo to hunting in Africa, Bob enjoyed the life his successes accorded him. Enjoy yourself, Mr. Montgomery. You earned it. Now That's One Darling Smile! Ah, the lucky young British fan who was able to purchase this fan magazine, knowing they would soon have a photo of the new heartthrob from the States. Would it be pinned on the bedroom wall, or perhaps placed in a frame for display on her bedside table so she could fall asleep gazing into those eyes, lost in his smile. At the time this photo was taken, Bob was 26 years old. 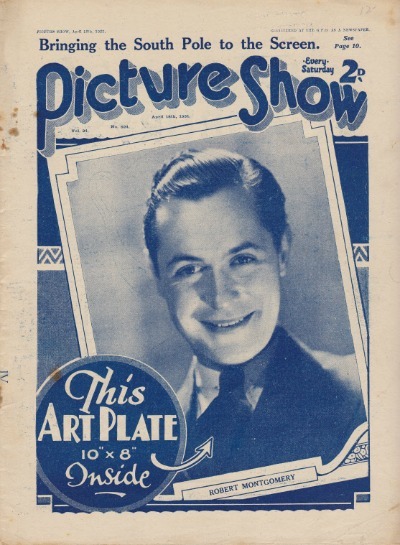 In just over a year since his first MGM movie was released, Bob has been paired with three of the top actresses of the time (Crawford, Shearer and Garbo). From hustling for a role of any kind, to finding himself in the upper echelon of the Hollywood star system ... a very, very meteoric rise to fame. Yeah, I'd be smiling, too. 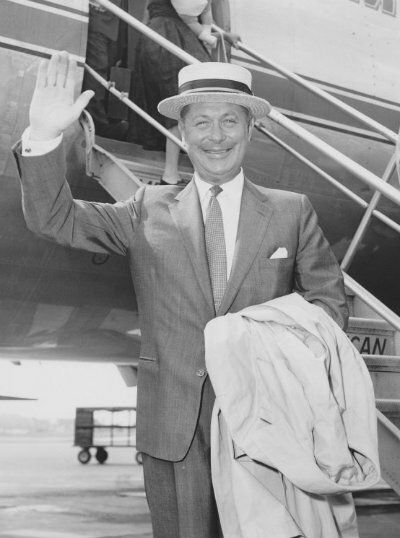 It's 1960, Bob arrives in Chicago to attend the GOP National Convention. President Eisenhower will be giving a televised speech, so, of course, Bob is there to assist. 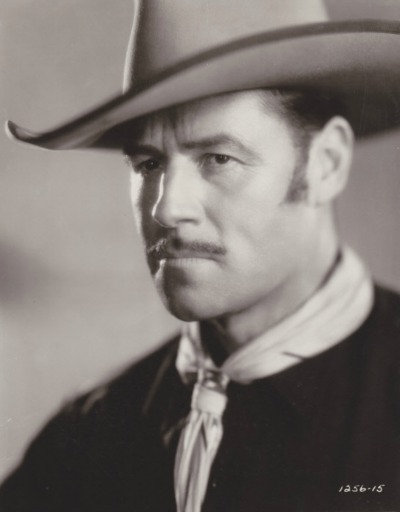 It is a role he enjoyed, along with the excuse to wear his straw hat. Now, why he needed a coat in late July in Chicago ... Anyway, the broad smile matches the boy within. Very much like the smile on the young man below. Henry Montgomery, Jr. is 10 years old. The Bob we know is already well established. 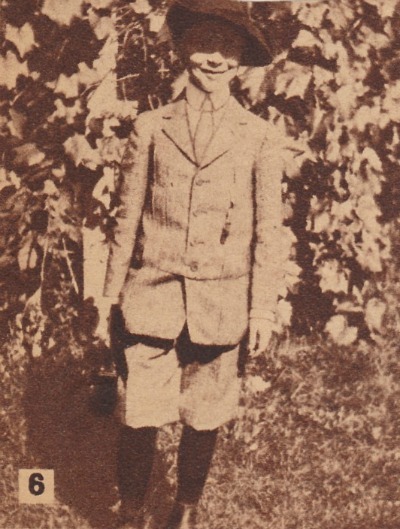 That's one nifty outfit: plus fours, starched white collar and tie, a most impressive hat, watch fob, his own camera ... the best-dressed kid on the block for sure. And one big smile, our Bob, for sure. 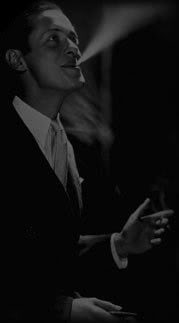 Bob did a lot of charitable work, from being a guest speaker at fundraisers to chairing several charities, particularly in the 1950s. 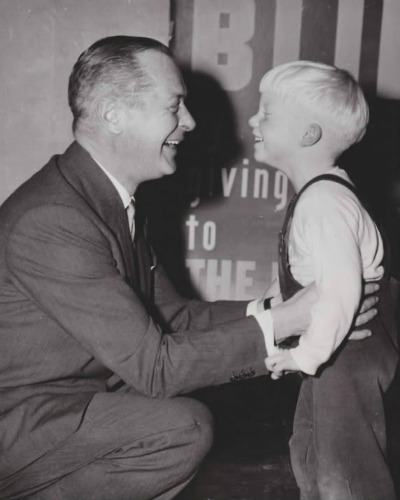 On January 12, 1951, Bob was principal speaker at an organizational meeting of The Lighthouse, a charity for the blind, where he met five-year-old Chip. From the smile on Bob's face, I would say he was well-rewarded for his efforts. 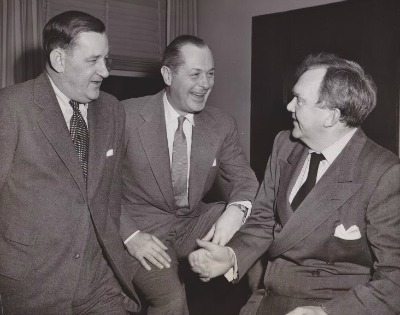 The Top Federal Tax Rate on Income in 1952 Was 92 % ... and Bob is Still Laughing! It's January 2, 1952. 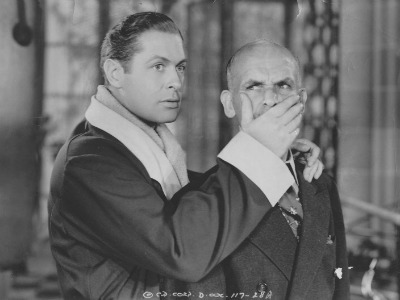 Bob is promoting the third season of Robert Montgomery Presents. 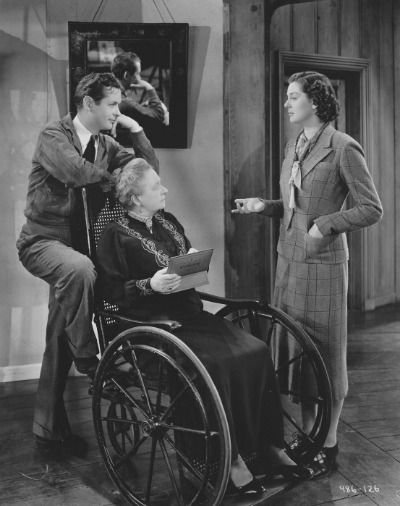 The opening show is based on a book by John O'Hara and will star Thomas Mitchell. Bob is once again a great success in the entertainment business. He has passed through a difficult time in both his career and his private life, and come out on top. Not bad, Mr. Montgomery. The gentlemen may be posing for the camera, but Bob's laugh is real. Yeah, that's one happy man. Being back stateside after a tour in the South Pacific, Lt. 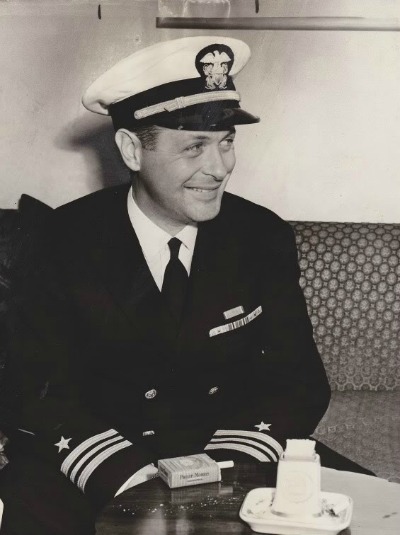 Commander Henry Montgomery, Jr. appears almost giddy. Hey, what's a month in the hospital with a severe case of dengue fever, if it means being sent home to recuperate. It's May 16, 1943. Bob has been assigned to duty in Seattle, where he stays until August, before being assigned to Terminal Island in Los Angeles. Yeah, that is one happy sailor. It's Bob's Birthday Week - 7 Great Smiles! May 21st is Bob's birthday. For this year's week-long celebration, I thought I would zero in on my favorite Montgomery attribute - one great smile! Seldom have I enjoyed doing the blog more than this evening, going through Bob photos to use for the week's entries. Narrowing them down to 7, now that was a bit of a challenge. Hope you enjoy them as much as I have. 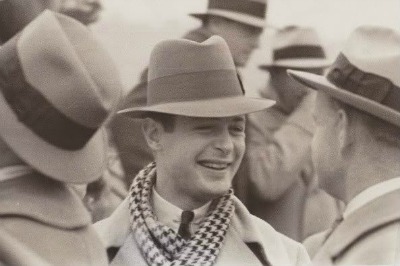 This is Bob taking in a polo match at the Riviera Country Club in Los Angeles on December 21, 1931. The young Mr. Montgomery is, as always, superbly dressed for the occasion. To think men used to wear a suit and tie to a sporting event ... how 20th Century. 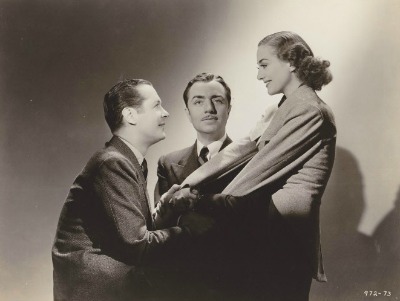 Night Must Fall was released April 30, 1937. A mere 80 years ago. And after all those years, it is still so enjoyable to watch. I do believe that is the definition of a "good" movie. Bob put a lot of effort into his role, taking full advantage of one of the few good roles in his career. I just love watching him in this. He is totally into the character, a different man even when simply standing. And the facial expressions ... Danny with his mind running a mile a minute, thinking darker and darker thoughts. Love it. And there are all the great promotional shots of Bob and Roz, in character as Danny and Olivia. Even the stills are first rate. The photo below is a favorite of mine. It's the mirror ... two Bobs to enjoy! Looking for the bright side ... I have had this photo for some time, finally able to use it. It's the tie. Love it. And a matching handkerchief ... so Bob. Yes ... 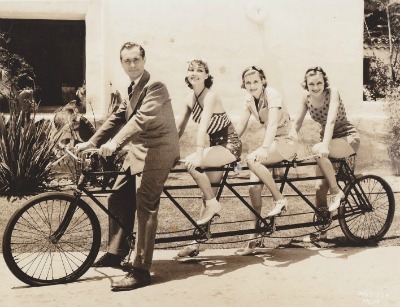 I am sure Bob spent his time riding a bicycle along with three starlets on the studio grounds. And, I am sure Bob, along with all the contract players, just loved the publicity part of their jobs. Big stars had to do it, as well as the lowly starlets and young Bobs-to-be. 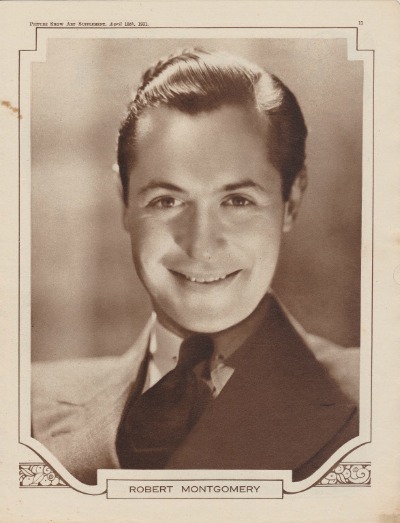 This photo was taken in 1933, used as a publicity shot for Night Flight. The three young ladies are Jean Parker, Irene Hervey and Jean Howard. I found it rather surprising that all three had successful lives, an unusual happenstance for young contract players. 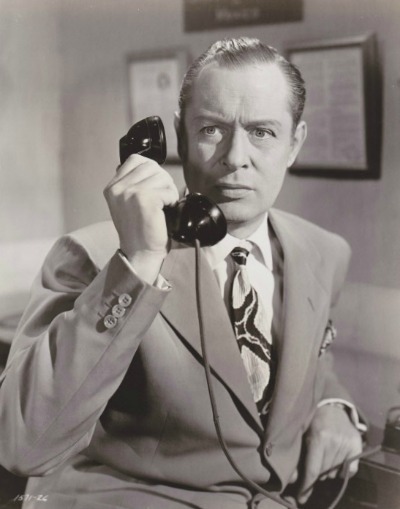 Jean Parker was very busy as a supporting player in movies in the 30s and 40s, switching over to TV and Broadway in the 50s. Irene Hervey was also a successful actress, keeping busy into the 1970s. She married Alan Jones, and was the mother of singer Jack Jones. 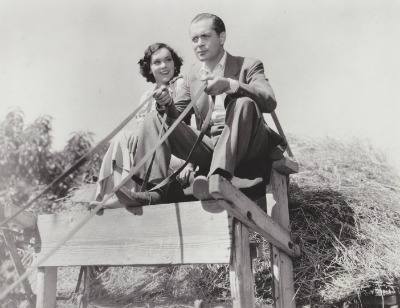 Jean Howard basically quit the movies in the 30s, and found her success as the socialite spouse of super agent turned powerful producer, Charles K. Feldman. She later published a book, Jean Howard's Hollywood, a photographic memoir of her life in the 40s and 50s, featuring stars and other famous people of the era. And all three ladies lived very long lives, Jean lived to 90 and both Irene and Jean to 89. Yes, three fortunate starlets, all starting their careers riding with Bob. Not bad. 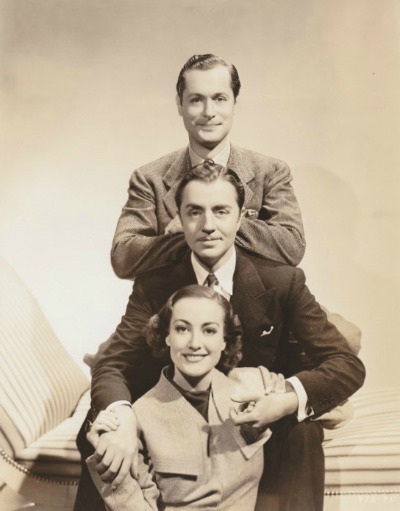 George Hurrell produced a large number of promotional stills for The Last of Mrs. Cheney (1937), featuring the stars; Joan Crawford, William Powell and Bob. 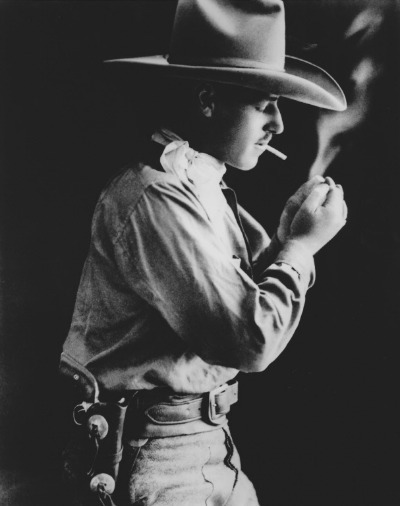 There is always the challenge for the photographer to come up with new poses, and Hurrell came up with some, for the most part, interesting ones. I personally like the first photo below. The three stars enjoyed working together on the movie, and the good feelings appear to have carried over to the photo session. And I like the Bob and Joan interaction in this one. Not sure exactly what Bill's role is. I'm guessing he's thinking something along the lines of, "It's almost over, I've done stranger things in my career." 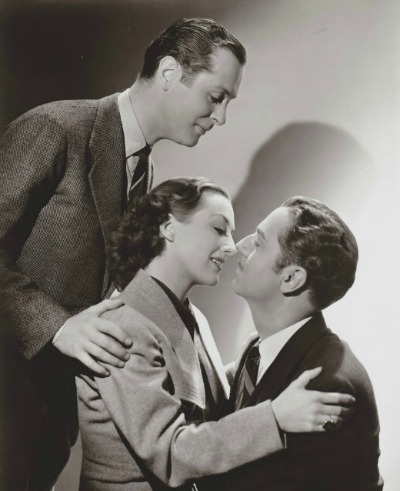 Now this one....what exactly is Bob doing watching Joan and Bill embrace? I mean, he has his hands on her, encouraging her. The photo itself I like, just try not to study it too much! Whatever, they are all great photos. The combination of a great photographer and three photogenic stars just can't be beaten. All that talent in one room. How nifty.